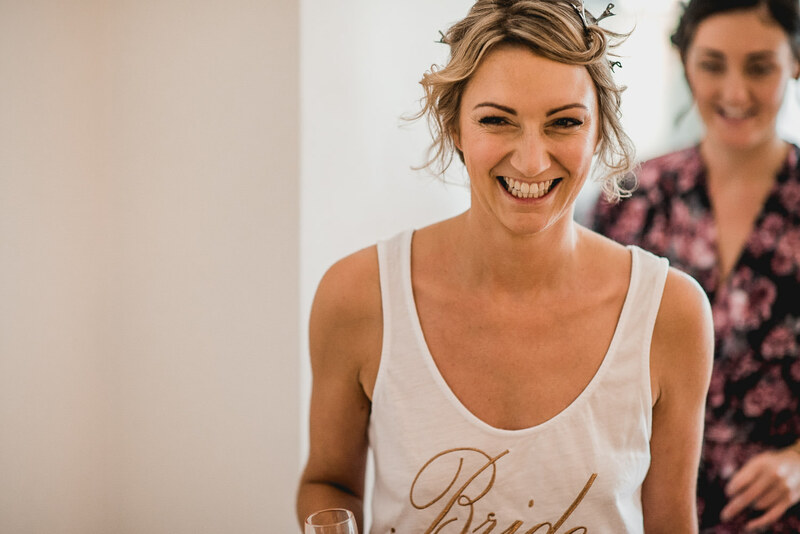 “Our foremost concern whilst planning our wedding was to ensure that our guests had a great time, particularly as we were asking them to travel quite a distance to be there with us. We, therefore, spent a lot of time considering the food, drink and merriment! For both of us though, our photographs were hugely important as we wanted something to take away after the day. We were also lucky enough to have one of our friends film the day and he has subsequently created the most stunning video too. 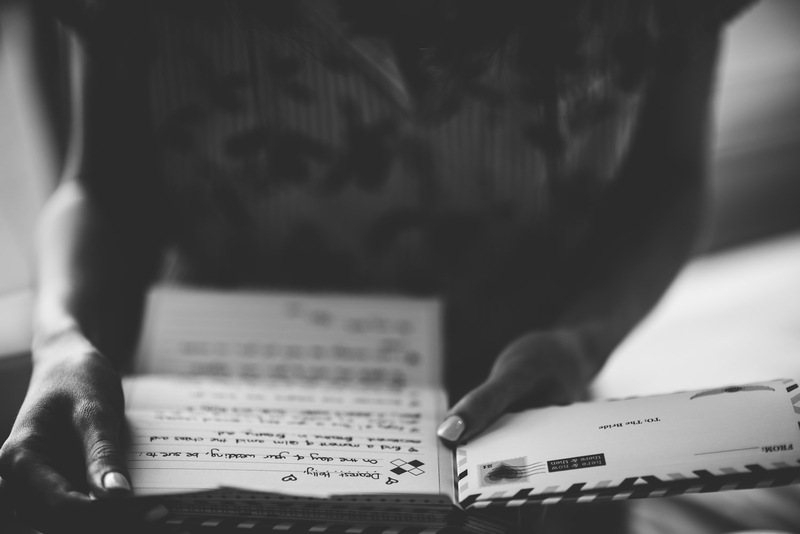 In company with the photographs, we hope that it will keep all the wonderful memories we have fresh in our minds. Having both worked in events over the years, we were astonished by how quickly the day snuck up on is. 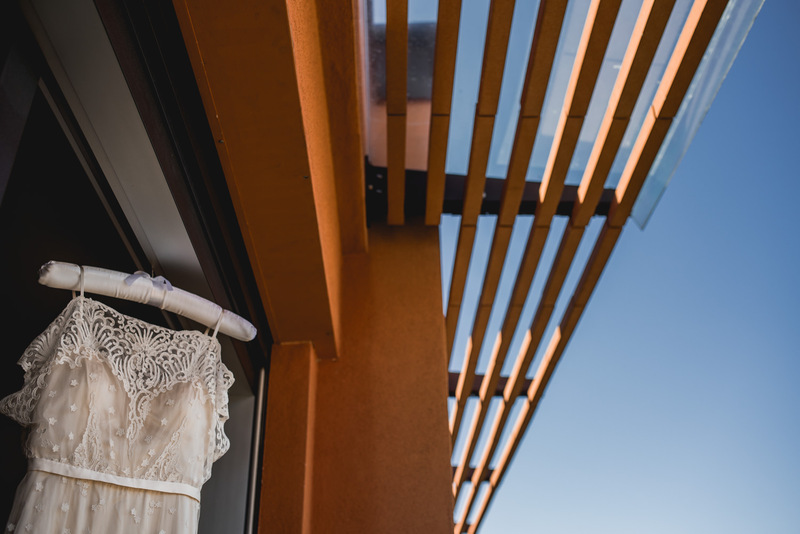 Particularly if you are having a destination wedding, our biggest piece of advice would be to have all the wedmin finished BEFORE you step foot on the plane. 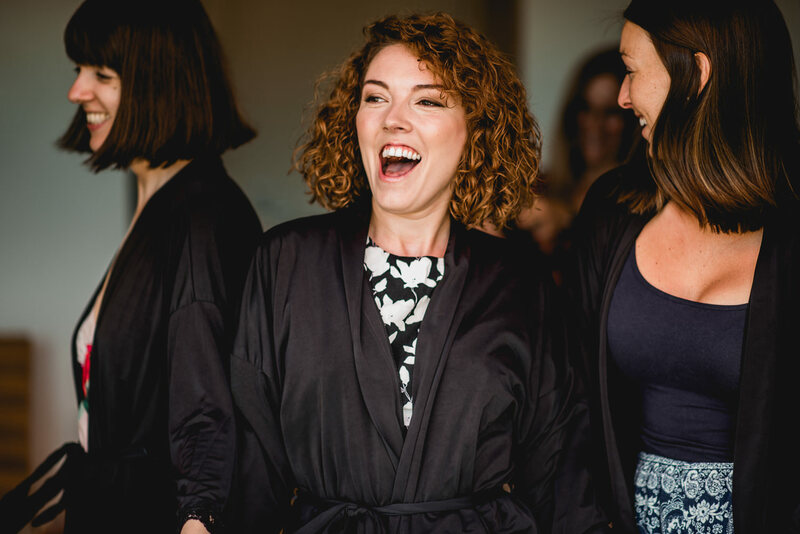 Despite thinking that we had been very thorough and organised in advance, we still felt we had last minute jobs to do when we arrived and we would have loved to check in and just relax with our family and friends before the big day. As a conclusion, relish every second as it’s the greatest thing you’ll ever do. 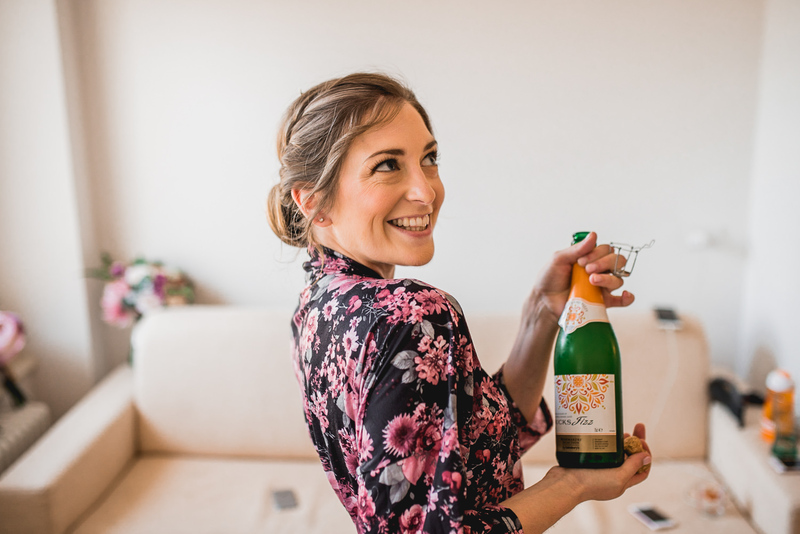 “We got married in May 2018 in Northern Italy. We really struggled to find a photographer with a bride who doesn’t like having her picture taken and a groom who is very particular about the style of photographs!! 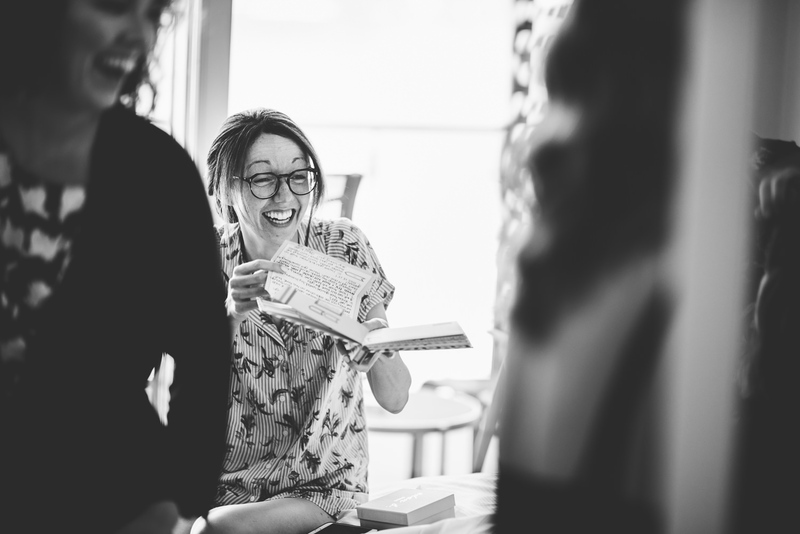 Plus, with only 30 wedding guests we wanted someone who would fit in amongst our closest friends and family. The moment we hung up from our initial meeting with Barney on Skype, we looked at each other and said: “he’s the one!” (A little cheesy but actually did happen!) This is one of the best decisions we made. Barney is a lovely human. He is professional, friendly and expertly organised. 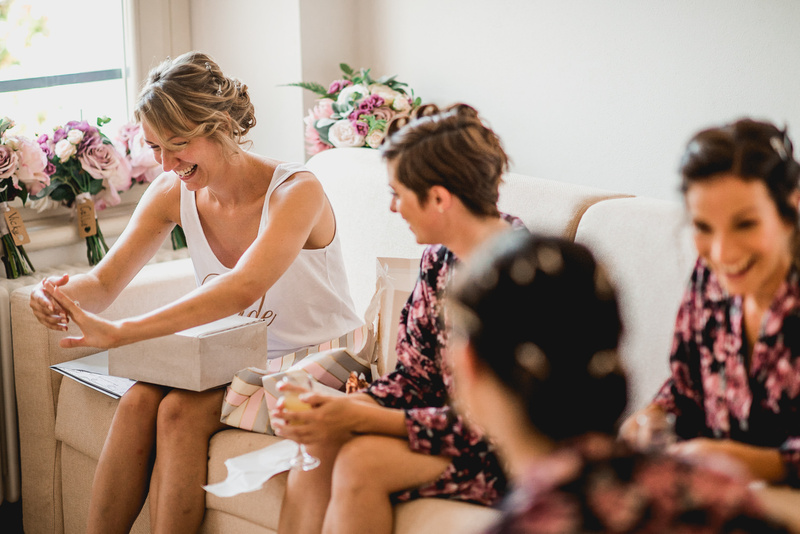 From his invaluable advice during the wedding planning stage, through to his absolute efficiency on the day, he captured the mood of our wedding perfectly. As one person, he didn’t seem to miss a thing. He has the ability to be in all places at all the right times! Photography by Malcesine Wedding Photographer, Barney Walters. 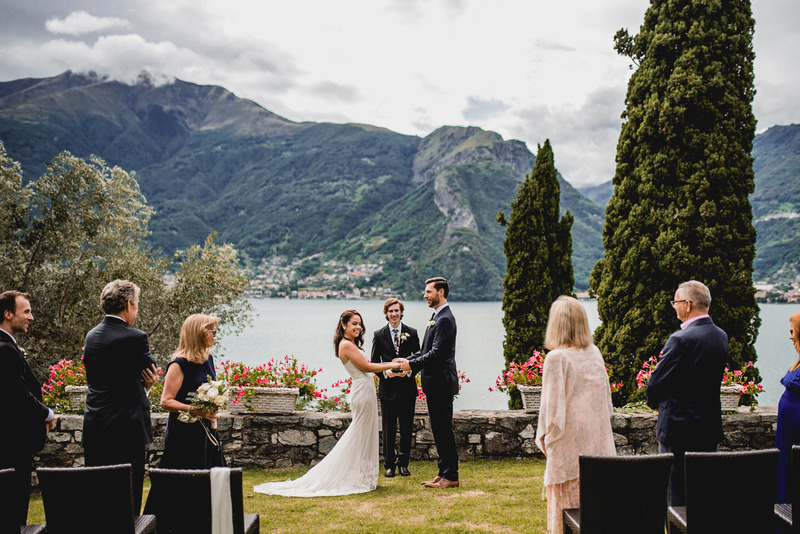 “If anyone is thinking about doing a “micro” destination wedding, do it!” said the bride, Catherine, of this fabulously intimate lake Como wedding. 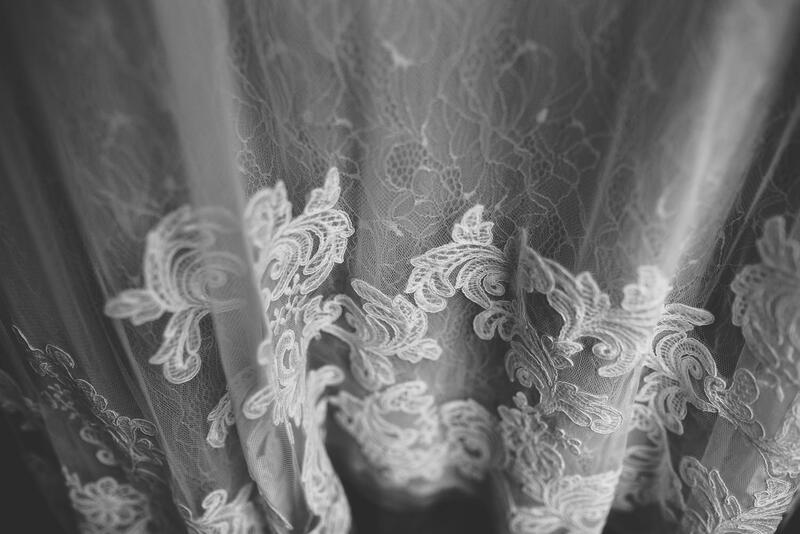 I still got my dream dress! 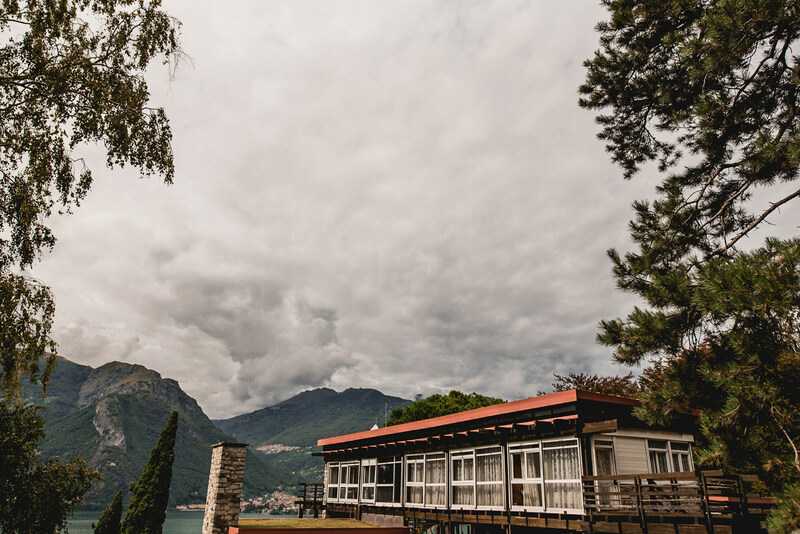 When you’re done here, if you’d like to see more Lake Como and Lake Garda Wedding Photography, click the links. Full supplier list in the footer of this post. 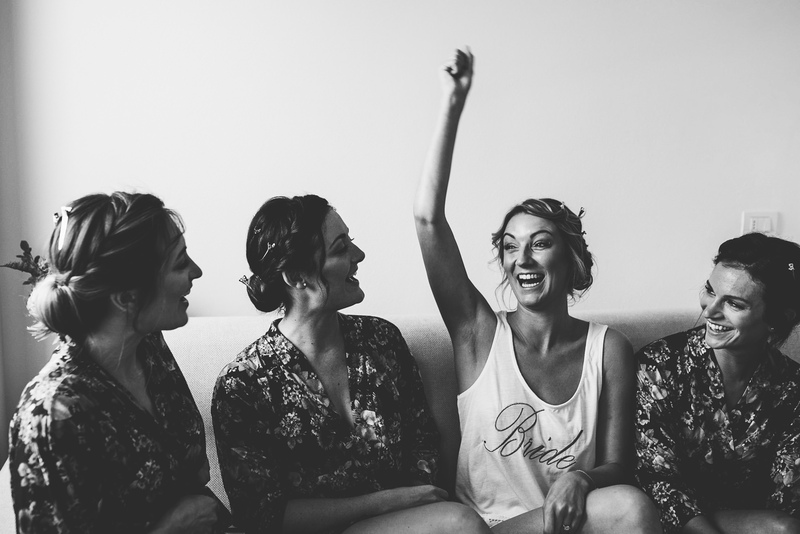 “My husband and I searched high and low for a photographer to capture our 9-person destination wedding, and we are SO incredibly grateful to have found Barney. To say that he captured our day perfectly would still be an understatement. Barney was extremely easy to work with from start to finish. He was transparent, communicative, answered all of our many questions, and treated us like an engaged couple rather than a paycheck. Even all the way up until the wedding day, I always felt like Barney cared about us as a couple, cared about our relationship, and cared about our success in a way that a friend would. He took the time to get to know every person at our wedding, even before he started taking photos. He knew everyone’s name and their relationship to us and made sure they knew him too. It put everyone at ease around him and translated into some beautiful photos of everyone with their guard down. Barney also knows how to blend in. I wouldn’t think he could’ve done that with only 9 of us, but even during the ceremony, where only 6 people sat in chairs facing us, we totally lost track of Barney. And it wasn’t because he actually disappeared, but he somehow blended in and captured the most incredible shots. 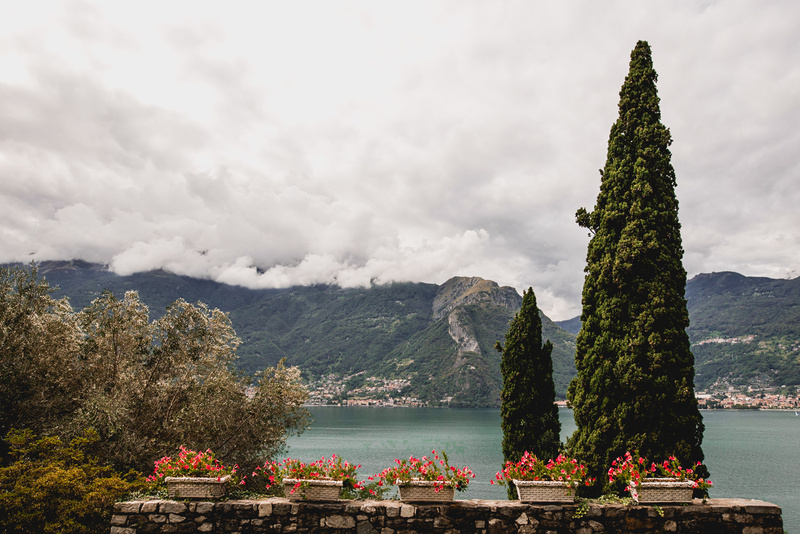 I always LOVE heading to Lake Garda for weddings! 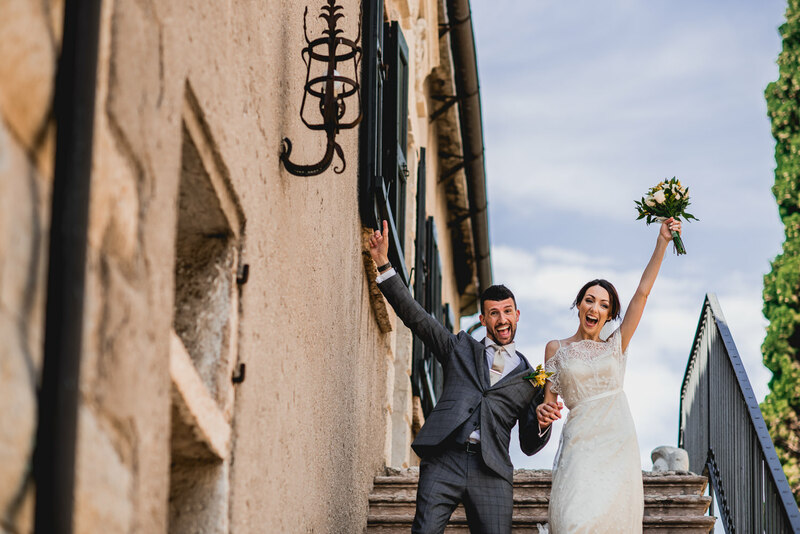 Over the past five years, I’ve documented over a dozen weddings throughout the lake, including the two towns that Sarah and Oliver decided to use for their celebrations; Malcesine and Riva del Garda. 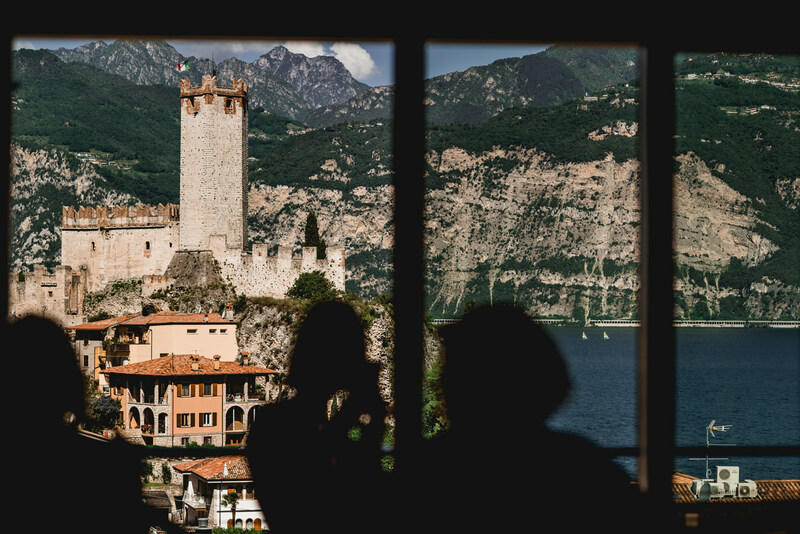 Sarah and Oliver’s wedding provided the first opportunity for me to shoot within the Captains Palace in Malcesine for their legal vows, and also the first time documenting a wedding reception at the Grand Hotel Liberty in Riva del Garda, but they weren’t the only unique factors, oh no! Sarah and Oliver also arranged a marching band in Riva del Garda and a beautiful private boat tour between Malcesine and Riva del Garda. “Italy was the perfect choice for Oliver and I. 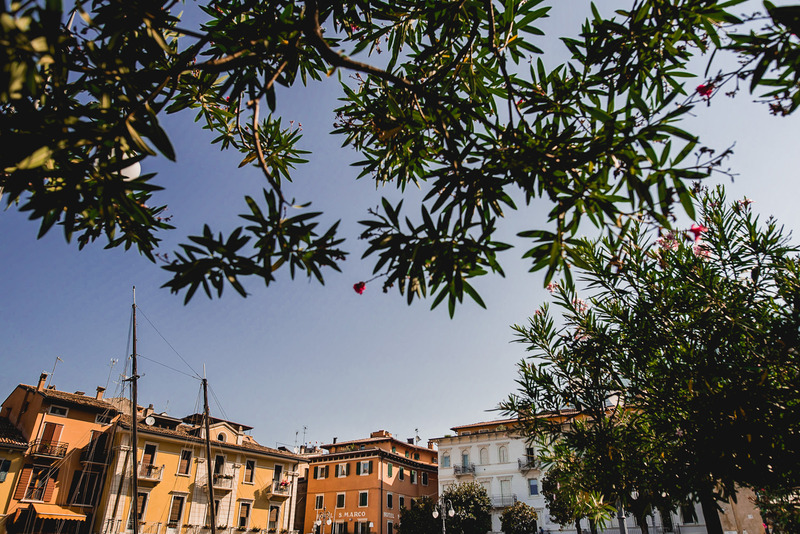 Having lived in Lake Garda after university, I grew hugely fond of the area… and Oliver had been sailing on the Lake yearly since he was young! When we met, it was an area we visited yearly as it’s such a beautiful place – the locals are friendly, the food is delicious and the Hugos (cocktail) are amazing! Riva Del Garda is an area of the lake Oli introduced me to when we started dating… the views are incredible… it doesn’t look real to look at! 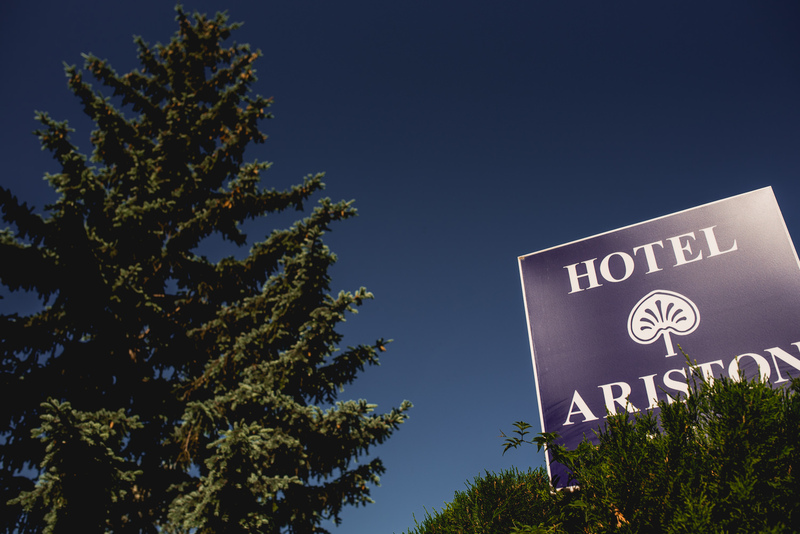 We went to view about 10 venues on the Lake and fell in love with the Grand Hotel Liberty – a typical Italian family run hotel… Allesandro made us feel welcome from the first moment we met him. It felt special to us and he has since become more like a friend to us. The views are insane on the Lake and made such a perfect backdrop to Barney’s perfectly captured moments. Our three top priories for the day were food, music and capturing the day… we had a seven-course banquet of what only can be described as the most insanely delicious food I’ve ever had… I want to do it all again just to eat all of those courses again! Thomas De Gobbi, our saxophonist was just out of this world… he was on ‘Italia’s Got Talent’ funnily enough… he absolutely rocked the house and got everyone dancing through the meal! I love a rowdy wedding and we certainly had one. I love photos, and capturing moments… after finding Barney on social media – I fell in love with his work and the way he captures the day in a story. The story shows a wonderful collection of natural photos showing the happiness of all of our guests and us! 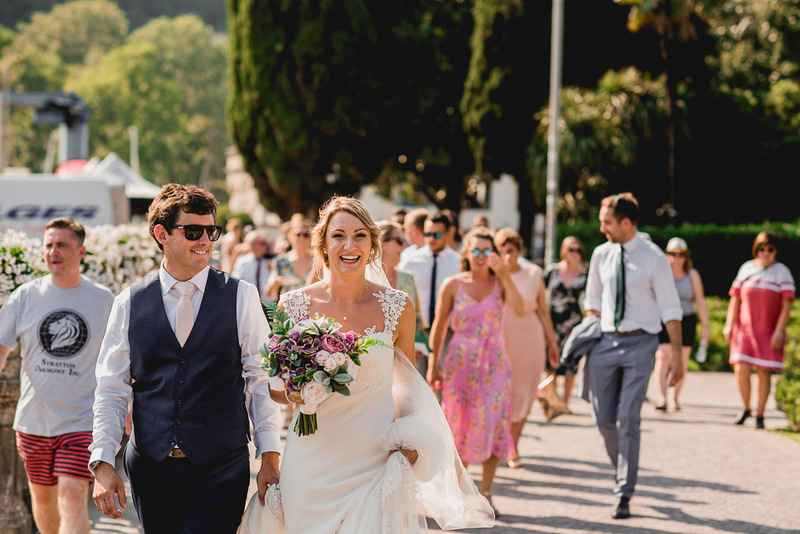 Full supplier list in the footer and more Malcesine Wedding Photographer here. 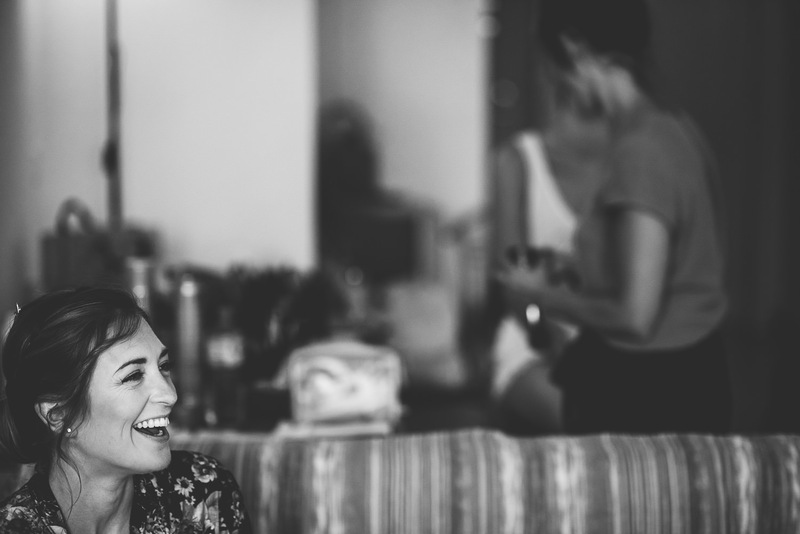 “The one thing I wouldn’t change is the location, an abroad wedding extends the celebrations… we had an inflatable Lake party the day prior to the wedding and 50 of our friends went paddle boarding the day after the wedding…followed by sparklers, prosecco and cake into the evening. Everyone is in high spirits on holiday mode and you can talk to everyone for more than just a few minutes. More from Malcesine Wedding Photographer here.